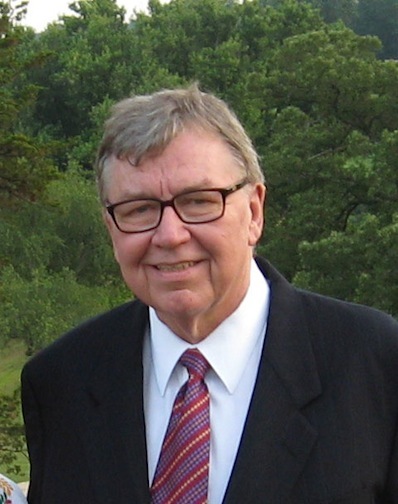 Today’s posting is by guest blogger Ron McCrea (below). 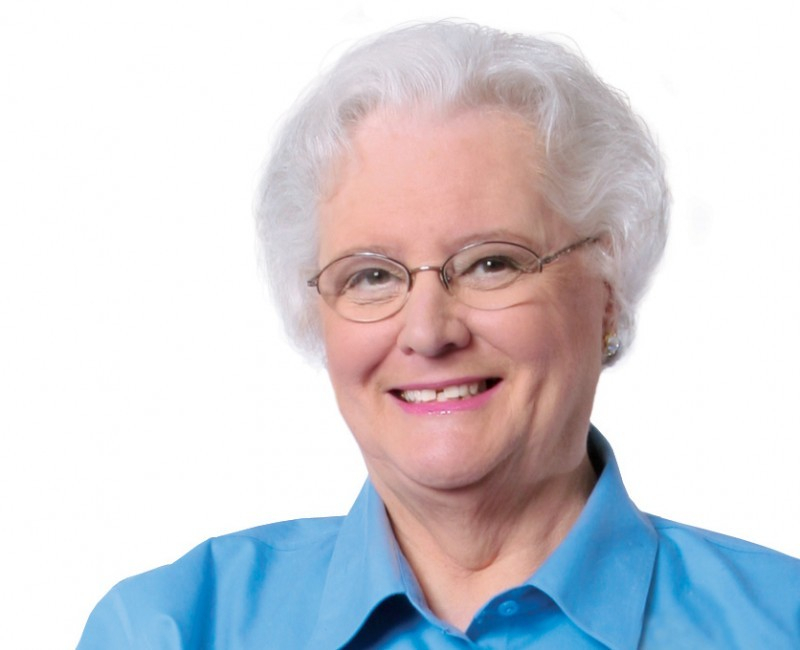 McCrea, a longtime Madison journalist, is the author of “Building Taliesin: Frank Lloyd Wright’s Home of Love and Loss,” published by the Wisconsin Historical Society Press in 2012. 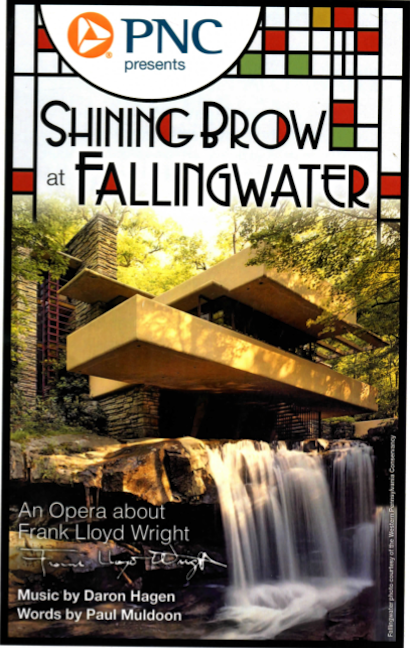 McCrea traveled to Pittsburgh last weekend to see a chamber adaptation of American composer Daron Hagen’s opera “Shining Brow” performed on the decks of Fallingwater, Wright’s famous 1937 summer home, built beside a stream and over a waterfall deep in the woods of western Pennsylvania. Here is a report by McCrea (below), including photos mostly taken by him. Do you go to the opera to see the opera, or to admire the opera house? Do you go to see the action onstage, or to see who has shown up in the boxes? For opera fans, the answer is probably a bit of both, though if the opera is truly grand the setting quickly recedes when the house lights dim. 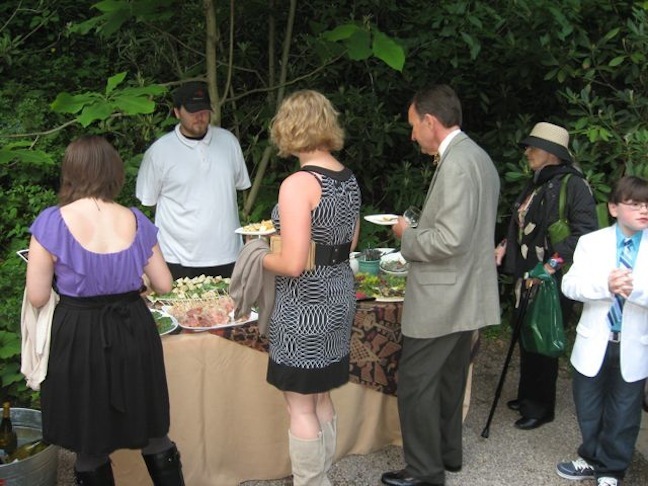 The setting never receded at Fallingwater on Saturday night. The competition posed by this stupendous woodland summer palace, with the sound of its rushing waterfall (below bottom) constantly playing in the background and the light changing on its ivory decks as the sun set, was too much for six singers and seven instrumentalists to overcome, as cleverly and effectively as the opera “Shining Brow” was staged. June 8 was Wright’s 146th birthday. 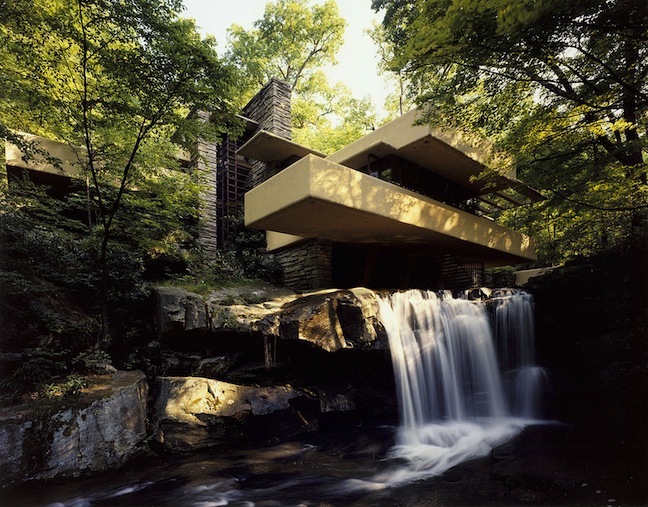 It was also another visit by composer Daron Hagen to Fallingwater. He snapped photos from the terraces before the performance, while the 120 ticket-holders, who paid $350, were allowed to roam the Edgar Kaufmann House with drinks and hors d’oeuvres (below), as though they were regular guests of the Pittsburgh department store magnate who commissioned Wright to build a summer place that would make them both immortal. Hagen also reduced his instrumental forces from a full orchestra to a chamber ensemble consisting of a violin, viola, cello, oboe/English horn, three kinds of clarinets with one player, and keyboard (below). 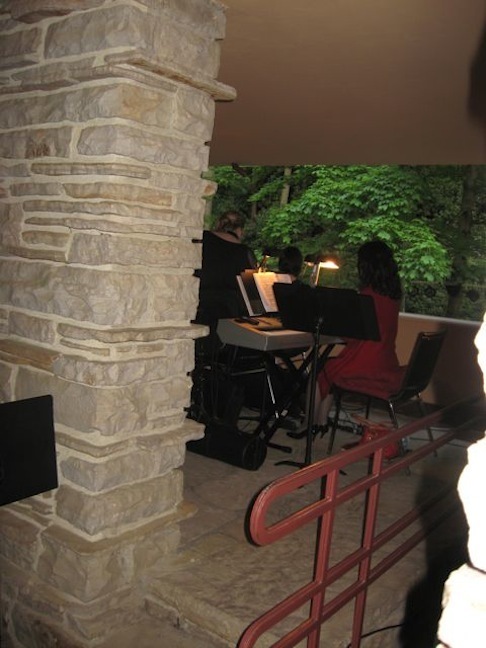 The re-orchestration had a good, full sound, and everything was well amplified and lighted for the outdoor stage. The action, directed by Jonathan Eaton and conducted by Robert Frankenberry, moved among four levels of terraces and used the approaches to the house. 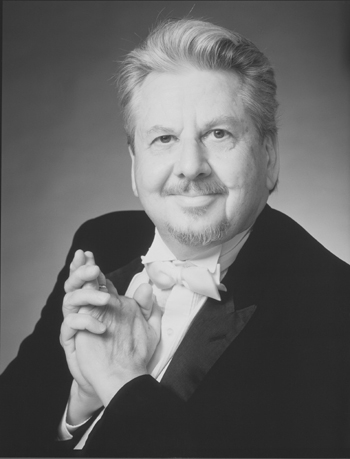 The opera tells the story of Wright (baritone Kevin Kees, below); his mentor, Louis Sullivan (tenor James Flora); his lover, Mamah Borthwick Cheney (soprano Lara Lynn Cottrill); her husband, Edwin Cheney (bass-baritone Dimitrie Lazich); and Wright’s wife Catherine (soprano Kara Cornell). It spans the years 1903-1914, which cover Wright’s commission to build a home for the Cheneys, his break with Sullivan, his liaison and elopement to Europe with Mamah, his breakup with Catherine, and the murder and fire at Taliesin that leave Mamah dead and Wright bereft. The role of a maid who brings the angry, disillusioned Sullivan his drinks is sung by soprano Anna McTiernan. The opera really is less about history than about the competing claims of love and ambition, the jealousies between mentor and pupil, and the passion to create a new American art not tied to Europe. 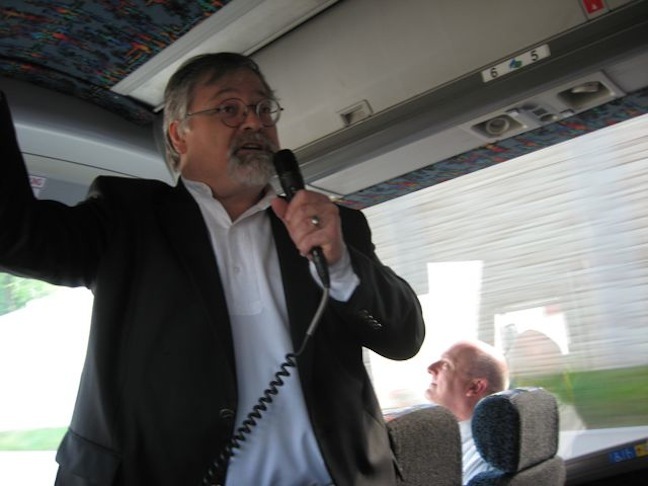 Hagen, in a 40-minute talk on the bus (below) to Fallingwater, said the argument between Sullivan and Wright over whether Wright had “borrowed” his ideas or “purloined” them was much like the dispute that caused a rift between Arnold Schoenberg and his protégé Marc Blitzstein. Hagen recalled with affection the commission for “Shining Brow,” which came by phone from Madison while he and Muldoon were both young unknowns at the MacDowell Colony in New Hampshire. He remembered playing and singing the first act of “Shining Brow” for Leonard Bernstein at his Manhattan apartment, and playing through the entire opera in the same apartment (without Lenny) for a Madison delegation that included the Madison Opera’s General Director Ann Stanke (below top) and the Madison Symphony Orchestra‘s Music Director and the Madison Opera’s Artistic Director Roland Johnson (below bottom) both recently deceased. The premiere in 1993 was well reviewed by The New York Times (the review was a first for the Madison Opera, Hagen said) and a Chicago Tribune critic in 1997 called the opera “one of the most universally praised new American works of the decade.” Madison music critic and this blog’s host, Jacob Stockinger, also wrote in The Capital Times that the opera deserved the Pulitzer Prize for music. Nevertheless, Hagen said he had to wait a full decade before the opera was revived. 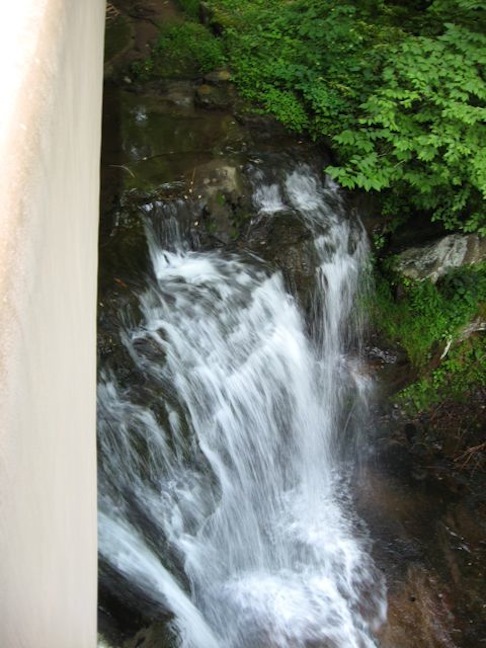 After thinking he would become an overnight sensation, he came to realize that “Shining Brow” was “a home run in a Triple-A league.” Madison was too regional to win the attention of the Coasts -– a problem Wright himself had until he created Fallingwater. A recording of the full opera by the Buffalo Philharmonic is available on Naxos. 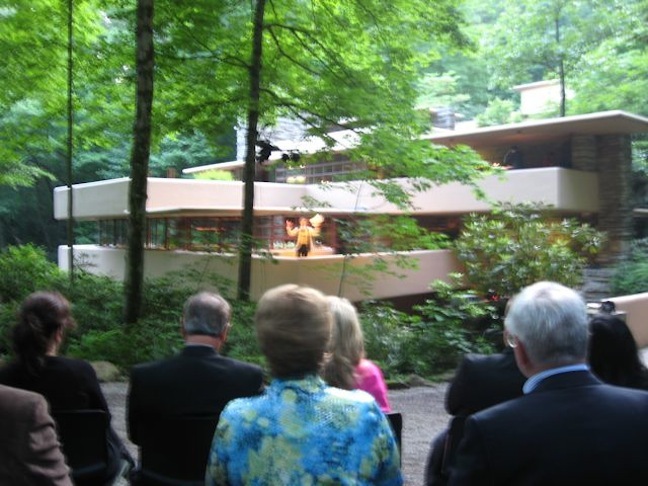 Pittsburgh Opera General Manager Scott Timm said a video of the Fallingwater performance might be issued if the unions agree to it. This was really a once-and-a-lifetime event and it was an honor to both promote it and attend on behalf of Opera Theater of Pittsburgh where Shining Brow will be on stage again July 11 and 19 in Pittsburgh. We were thrilled to share the initial revised version at school time matinees in winter 2013 when the characters, real life stories, and timeless themese captivated many first-time opera goers. Visit us at otsummerfest.org for details on this and the SummerFest season. I am a little too old to use the words “amazing experience” very often, but hearing even a version of “Shining Brow” on the decks of one of Wright’s most astounding works much have been just that. Thanks for reliving the experience with us blog readers, Ron. Sounds like you really captured an event of a lifetime. Jacob, thank you so much for publicizing the concert tonight @ the Green Lake Opera House. Because of arithritic knees, I rarely take part in standing ovations, but tonight I did. I think Korean-American pianist Sahun “Sam: Hong at 18 years old, is destined to be another Horowitz. His flawless technique was a wonder to behold; superlative interpretation, and astonishing dynamics. His fffs were like a bullfight. Based on tonight’s concert, I suspect I may well wind up being able to truthfully say that “I knew him before he became famous.” Simply incredible!